Subject of our activity is multidimensional wood processing. We supply ourselves with raw materials on the grounds managed by State Forests’ Department in Olsztyn. Currently our company is running its own sawmill (woodyard) and is able to produce parquet floor as well as door and windows. Stairs’ line production was started in 2000. The sawmill in Mokiny (near Barczewo) is well equipped with one vertical sawing machine and four horizontal sawing machines. Drying rooms consists of 9 chambers with computer control system and with capacity of about 700m3. Our sawmill is specialized in production of wet and dry lumber and also semi-finished products for furniture industry. Our stock capacity possibilities for dry lumber in different thickness, selection and wood quality (oak, beech, birch, ash and alder) are of approximately 2000m3. 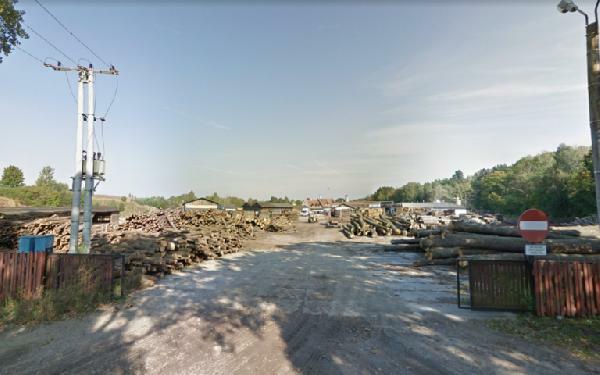 Various customers from all over Poland can buy here almost every amount of dry lumber needed to direct production. Parquet flooring section, located also in Mokiny is using new technological lines in production of oak, ash, and beech parquet flooring. Our parquet is sold all over the country through distributors who cooperate with the company strongly and also through the trademark shop in Olsztyn. Produced also in Mokiny wooden Euro-windows are of really high quality and untypical shapes of planks and window bars which are durable structural elements. Windows are produced in different shapes and sizes. Since seven years in our sawmill in Mokiny we have been producing furniture plate made from different sort of hardwood. Our products are exported to other countries: Denmark, Germany, Austria, England or Italy. Further - through the mediation of the clients our products are being sold on the markets of Asia and North America. From the very beginning Abakus Wood Pol is being run by two owners Mr Janusz Skumbin and Mr. Jan Wieczorek. The company is managed by the owners and high qualified managing staff.